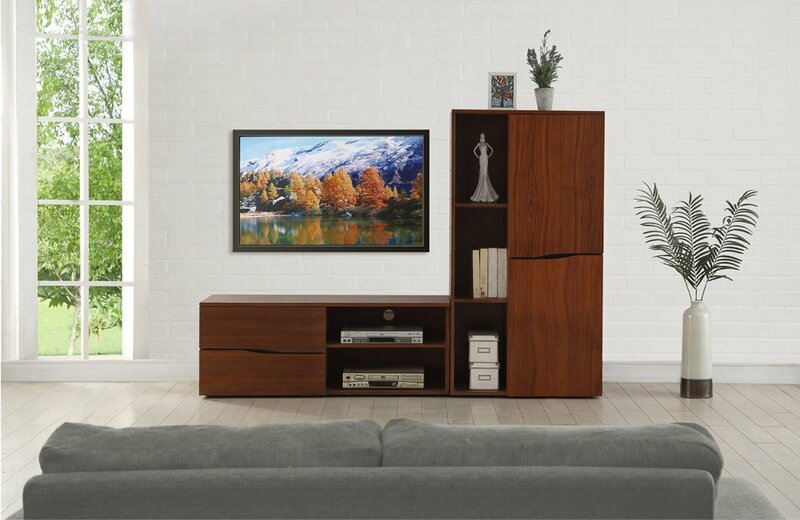 The JF802 Bella TV stand is constructed using only the best quality materials. 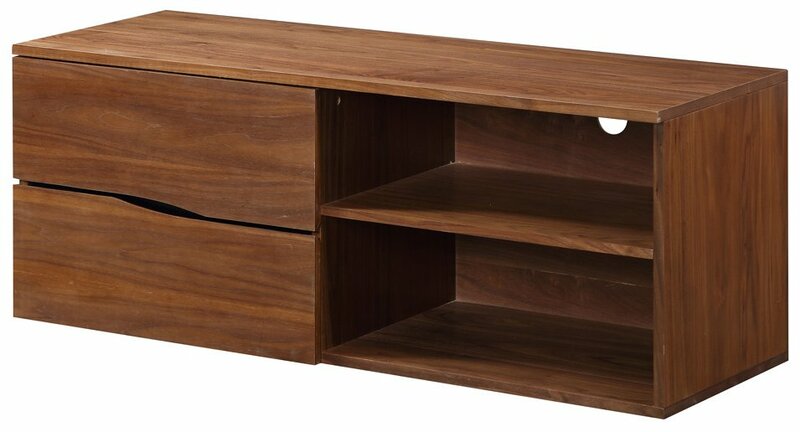 Finished in a warming real walnut veneer and complimented by crisp, glossy black inserts. This unit is fully assembled and comes complete with 2 x soft closing drawers that provide generous storage space for all of your AV accessories. The open central compartment ensures there is plenty of room for all of your AV equipment. 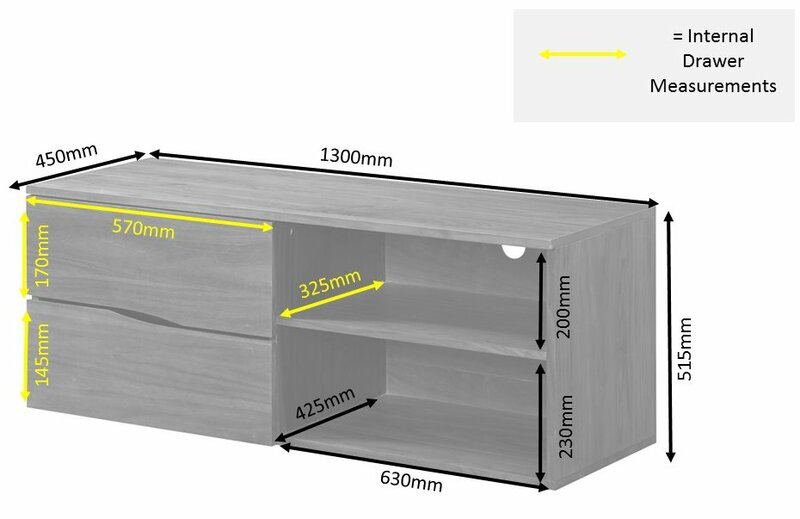 Matching furniture available, including a larger 1500mm wide version.